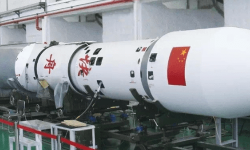 Since the mid-2010s, the Chinese government has been deploying its second generation of launchers, called Long March. These launchers are able to place between 700 kg and 23 tons in low orbit. For now, the heaviest launcher of this new generation of rockets is the Long March 5. Its capabilities are slightly higher than those of an Ariane 5. This new generation of launchers will help to assemble and serve the future Chinese space station Tiangong 3. This space station should remain in orbit for about ten years. Tiangong 3 is composed of three pressurized modules and will accomodate crews of three taikonauts for missions of about six months. In the longer term, China wants to send taikonauts to the moon. 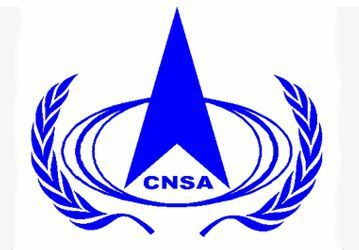 Regular robotic missions are already being conducted to other satellites, but China wants to switch to manned flights. For this, a launcher much more powerful than the Long March 5 is necessary. That’s why the Chinese space agency launched the development of the Long March 9 rocket. 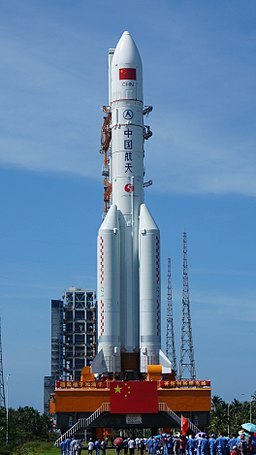 In its specifications, the Long March 9 is a huge rocket that should be able to place 140 tons of payload in low orbit, which equals the capacity of the Saturn 5 rocket of the Apollo program. Both rockets were designed to accomplish the same mission. The Long March 9 rocket should be a three-stage rocket equipped with two to four powder boosters. A prototype engine to equip the first floor of the rocket is about to be built. This first floor will burn kerosene and liquid oxygen, like the Saturn 5. The second and third floors of the Chinese launcher will be powered by hydrogen. China wants to make the first flight of the Long March 9 in 2028, and wants to make a first manned flight to the moon in the 2030s. Between 2028 and 2033, three launchers would be able to equal or exceed the performance of the Saturn 5 : the NASA’s SLS capable of placing 130 tons in low orbit, the Long March 9 capable of placing 140 tons, and the SpaceX BFR capable of placing 150 tons in low orbit. Even if it is not sure that the three rockets will fly, at least one of them could make us relive the immoderation of the Apollo years.